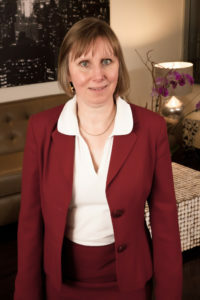 After earning her Bachelor of Commerce at University of Windsor, Colleen articled with a major national accounting firm, obtaining her CA designation in 1986. She worked as a Controller for a publicly traded Oil and Gas Service company in Calgary, before returning to public practice in Calgary, Trail B.C, and Edmonton. Colleen has been with Liu & Associates LLP since 2002, and is the firm’s Manager. Colleen has resided in the Edmonton area since 1999 and is a wife and mother to two children.